The NEC’s organisation sub-committee was setting the process for selecting a Labour mayoral candidate in Tower Hamlets. He or she is now expected to be chosen in April, to give them time to build up a head of steam against Lutfur, who was sacked as Labour candidate in the 2010 mayoral election for his close links to an Islamic fundamentalist group, the Islamic Forum of Europe, which believes in turning Europe into a sharia state. Lutfur is also backed by a group of powerful local businessmen. In office, as this blog has documented, he has systematically given key positions, funding and favours to his extremist and moneyed patrons and is slowly turning a diverse, multicultural borough into a vehicle favouring a specific set of interests and segment of the community. This must, I think, mark the final end for Lutfur’s hopes of readmission to Labour. Even the Dave Spart parody left, his main supporters in the party, have fallen silent in recent months as the true nature of his regime becomes clear. Labour know that if they let Lutfur back he becomes their new Derek Hatton. Outside the party, he’s still a scandal and a disaster – but he’s not their scandal and disaster. Today is also clearly the latest sign of Ken’s fading influence in London Labour circles. His running-mate, Val Shawcross, was not selected to contest November’s Croydon North byelection – instead Labour chose the more Ken-sceptic figure of Steve Reed, former leader of Lambeth Council. Several of Lutfur’s Tower Hamlets allies were expelled from the party in July, an event unlikely had Ken won the mayoral election two months before. More people than ever across the party now realise what plenty were saying all along – that Livingstone threw away a potentially winnable mayoral election last year. One of Ken’s countless self-inflicted wounds was his decision to campaign for Lutfur, and against the official Labour candidate, in the 2010 Tower Hamlets mayoral poll. Does all this mean that Lutfur will lose his mayoral gig in 2014? Not necessarily. He still has almost total power over the council’s £1 billion budget and has been ruthlessly using it to promote his re-election. Every council tenant who gets a new window also gets a letter from Lutfur, on his famous picture headed notepaper, claiming credit – even though it’s usually the Government that’s paid. Every Tower Hamlets letterbox gets Lutfur’s personal taxpayer-funded Pravda, East End Life, through it every single week, complete with the statutory half-dozen or so pictures of the great man. Millions of pounds are being channelled into “capacity-building” (that is, vote-building) grants to Lutfur’s business cronies and extremist allies. Egged on by such people, Lutfur’s Bengali bloc can be relied on to vote under all circumstances (even death shall not weary them.) Non-Lutfur Bengali, white and black voters (who still collectively make up the vast majority of voters in Tower Hamlets) are much less likely to turn out. Yet Lutfur’s permanent isolation in that cul-de-sac marked “independent” will peel away more of the ambitious job and money-seeking opportunists who cluster around politicians in Tower Hamlets. If he cannot tap in to wider Labour power circles, his usefulness to such folk is less. Some of the Dear Leader’s backers have already drifted away in frustration at the severely local nature of what he can deliver them. The IFE’s secret is organisation. If Labour can match its level of organisation, it can win in 2014. Labour’s choice of candidate will be important, though. Because of the aforesaid turnout differential between Bengali and non-Bengali voters, Tower Hamlets politics is Bengali-dominated and other groups feel less engaged. The trick might be to select someone who can appeal across all communities. The front-runner is probably the London Assembly member and former Tower Hamlets council leader, John Biggs, who came second to Lutfur in the 2010 Labour selection contest. Labour should be proud that its representative bodies and its elected leaders (such as Newham’s Robin Wales and Hackney’s Jules Pipe, who will have nothing to do with Lutfur) are so strongly resisting sectarianism and sleaze and upholding the party’s core secular and democratic values. In the London mayoral elections of both 2008 and 2012, one of the main reasons Labour lost when it could well have won was that the party and its supporters quite simply refused to engage with reality. There were plenty of true and serious arguments they could have made against Boris Johnson. Instead, they claimed that he was a racist, an elitist, a member of the “Tory hard right,” “George W.Boris,” “Norman Tebbit in a clown’s uniform,” and so on, themes without any credibility or traction among the vast majority of voters. Now the architect of those two against-the-odds mayoral victories, Lynton Crosby, has been asked to see if he can pull off a similar trick for the Tory re-election effort in 2015. And in their reactions to the news, the left – along with some Tories – appear to be suffering the same fatal lack of contact with the real world. Crosby, according to this necessarily anonymous crowd, is a fanatic who will bully a helpless Prime Minister into a right-wing, immigration-led “dog-whistle” campaign aimed at the core vote. There is no doubt that Crosby is personally quite right-wing. Horrors! And God forbid that anyone should talk about immigration – it’s not as if any voter cares about that, is it? But I’ve never heard him say anything even remotely racist. And the caricature of the one-note “dog-whistler” does not survive thirty seconds’ examination of the campaigns Crosby actually ran for Boris. Boris simply could not have won either of his election victories on the basis of hard-right or core-vote pitches. In lefty, liberal London there isn’t anything like a big enough Tory core vote. Boris’s campaigns – run by Lynton Crosby – were broad and catholic. Johnson won, both times, because he and Lynton Crosby secured the votes of hundreds of thousands of people who would ordinarily vote Labour or Lib Dem. In 2008, for instance, Johnson’s supposed “dog-whistle” campaign included supporting an amnesty for illegal immigrants – something far to the left of even current Labour policy. It is alleged that in the 2012 election, Boris “lurched to the right on immigration, making it a campaign issue.” It is true that Boris gave one interview in which he urged ministers to “get a grip” on immigration. (How unreasonable!) But he did not make it a campaign issue against Ken Livingstone and immigration barely featured in the campaign. In his exciting role as the spider at the centre of the web, Crosby is also alleged by one journalist to have been behind the stories that did so much damage to Ken in 2008 and 2012: the scandal at the London Development Agency, and the great man’s tax avoidance. I was the reporter who broke both stories, and I did not get either of them from Lynton Crosby or anyone connected to the campaign. I actually got them both from, you know, investigative journalism, developing sources, Companies House trawls of Ken’s personal company accounts, and so on. It does still happen! 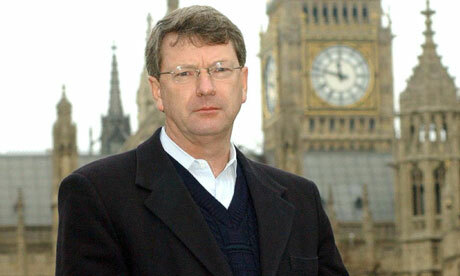 My LDA stories kicked off in early December 2007, almost a month before Lynton Crosby even joined the Boris campaign. And in 2012, not until weeks after my tax story, published in February, did Team Johnson decide to go heavy on it. Livingstone was always keener on negative campaigning than Johnson ever was. “Boris’s City Hall staff tried to position him as almost a non-political figure…he spent a lot of time opening things and making jolly, small and medium-sized announcements about subjects that don’t matter to most voters. Crosby’s most valuable skill, as even his opponents agree, is the ability to instil direction and confidence. And God knows, the Tories need some of that. I have today received an apology in the High Court for false and defamatory statements made about me by Ken Livingstone in his recent autobiography, You Can’t Say That. Other redress has also been agreed. Presumably to save face, Ken’s side insisted that this remain confidential. Alas, it wasn’t me who was lying. As the Standard said in its own review of the book, I wasn’t “shown the door.” I left of my own volition to join the Telegraph. No such editorials were printed. The stories won the top award in British print journalism that year and remain available on the paper’s website. Like this one, for instance, which triggered Jasper’s resignation after I revealed that he had channelled vast sums of money, for no clear purpose, to organisations run by a woman he secretly wanted to “honey glaze.” Ken has never been able to challenge a single word that I actually wrote, as opposed to the various misrepresentations of it that he has made. I started a claim for libel and this afternoon came the inevitable end – a statement in open court by the publishers of You Can’t Say That, apologising for Ken’s lies. It’s not the first time the majesty of the law has extracted that which no mortal hand can manage. A couple of years ago, humble pie was served courtesy of the former Tower Hamlets leader, Michael Keith, who got damages for being called an “Islamophobe” by Ken. I particularly want to thank my excellent lawyers, Korieh Duodu, David Price and Julia Varley of David Price Solicitors and Advocates, who got me precisely the result I wanted. Being lied about by liars is an occupational hazard of my job. But anyone tempted to follow Livingstone’s example should be in no doubt that I will defend my reputation and journalism. As for Ken, he has today learned that there are indeed some things you can’t say. I confess I never thought that – and not just because I was with the best number-crunchers and London politics experts in the business, YouGov’s Peter Kellner and the LSE’s Tony Travers. Neither they nor I thought Ken had the numbers – he was getting good enough swings in some of the 14 counting areas, but not enough in most of them. And there were indeed swings towards Boris in four of the 14. The main reason it was closer than everyone expected is perhaps this. Labour had fewer supporters, but was better at getting those it had to the polls. Compared with 2008, turnout was down everywhere. But it fell by less in the Labour areas than in the Tory ones. Six of the fourteen counting areas (each covering two or three boroughs) voted for Ken. Turnout in the Ken areas fell by 6.3 per cent on average compared to 2008. In Lambeth & Southwark, it fell by as little as 4.9 per cent and in the North East counting area (Waltham Forest, Hackney and Islington) it fell by 5.5 per cent. Eight of the 14 counting areas voted for Boris. Turnout in the Boris areas fell by an average of 8.2 per cent compared to 2008. In two Boris areas, West Central and Croydon & Sutton, it fell by 10.6 per cent and in two more, Bexley & Bromley and Havering & Redbridge, it fell by more than 9 per cent. These four areas are Boris’s fortresses, where they weigh the Tory vote – his lead over Ken in Bexley & Bromley was more than 40 percentage points. The bigger-than-average turnout drops in these areas cost Boris tens of thousands of votes. As the Boris campaign always feared, many Tory voters clearly did believe that Boris was going to win and didn’t bother coming out. The last-week polls giving him leads of up to 12 per cent (four times his actual winning margin) did him no favours. And whatever the other failings of Ken’s campaign, it managed to deploy lots of door-knockers and phone canvassers and sent out copious direct mail in the final week. Labour had a lot of effective help from the unions. Tory organisation is much patchier – activists in several areas are older and less, well, physically active than Labour’s. A few Tory areas bucked the trend and may have saved Boris’s bacon. The counting areas covering the affluent west and south-west London boroughs of Wandsworth, Richmond and Kingston had both smaller-than-average turnout drops and swings towards Boris. Banker-land, if you want to be unkind. In 2008 Ken Livingstone could plausibly claim that his defeat was due to the unpopularity of Gordon Brown. This time there really can be no excuses – Labour in London is 19 per cent ahead in the polls – but that didn’t stop Ken making one. Complaining about his “incredible media battering,” he devoted a large part of his concession speech to attacking the press. I think democracy’s undermined when those who own newspapers fill them with trivia rather than real issues (applause from the Labour ranks). And I wonder if the negativity and the smears that dominated this election played a part in Birmingham and Manchester rejecting the idea of elected mayors for their cities. However, I’d like to thank LBC and BBC London for what I think was very good coverage of these elections. And I think how different the result might have been if the BBC hadn’t cancelled that Question Time debate and stopped candidates being interviewed on the Today programme. But irrespective of bias in the media (laughter) Labour will win the debate on how to build an economy that works for all in a fairer Britain because we must. One of the “smears” was presumably my story about Livingstone’s tax avoidance – which today’s Guardian describes as “ruinous” for his campaign. It’s not a smear if it’s true, Ken – which was no doubt why you could never produce those tax returns of yours. Nobody ever needs to make anything up about Livingstone; he gives us more than enough material of his own accord. Walking away from City Hall last night, Ken was heard to sigh: “All I needed was another three per cent.” Less, actually: if 32,000 people out of 2.2 million had voted the other way, Boris would have lost. Will Ken spend the rest of his life kicking himself that if he’d made just one less stupid remark, one less unforced error, had been just a little less greedy about his finances, he would be mayor again today? Probably not. Bye, Ken. Ken Livingstone’s team is privately conceding this afternoon that it is all over – and that he may indeed have lost by more than last time. The two results already published suggest that they may be right. In the final tally from Merton and Wandsworth, Boris’s lead is 17 points (51-34) compared with 10 points last time (46-36). The final tally from Bexley and Bromley shows Boris leading Ken by 40 points (62-22), only fractionally down on last time (61-20). These are solidly Tory areas, but it’s looking very bad for Ken, who would expect to see at least some swings here if he was going to win. Health warning: there were big differences in how different parts of London swung at the last general election. It is, I suppose, just possible that high turnout in Ken-friendly areas plus a lot of Jones or Benita second preferences could pull it back for him. But it’s looking unlikely. If he does lose, it will, of course, be written up as a disaster for Labour. It would certainly be a catastrophic humiliation for Livingstone. But it could be the best thing that has ever happened for his party. Ken sums up, in a single beige-suited package, absolutely everything that Labour must ditch if it is to become electable in the country again: sectarian identity politics, pandering to special interests rather than the general interest, wild and uncosted public spending. There can, indeed, be no clearer sign of the intellectual bankruptcy of tax-and-spend than the fact that Livingstone won’t subject himself to the high taxes he seeks for others. For most of its life, the Labour Party was a coalition between the Mirror and the Guardian, Bevin and Crossman, industrial working class and metropolitan bourgeois. Its problem now is that the Guardian wing has come totally to dominate. More than a fifth of Labour’s members are in London, with its concentration of middle-class public-sector workers, though the capital is home to only a ninth of the country’s population. Membership figures issued in 2010, the last to be broken down by constituency, show that Labour has substantially more members in Richmond Park — where it took just five per cent of the vote at the last general election — than in the Rhondda. It has five times as many members in Hampstead as in Hartlepool. It has more members in seven London boroughs than in the whole of Wales. Its presence in the suburban, middle-English swing seats it needs to win is skimpy. The London middle-class left, of which Livingstone is the ultimate expression, has been the single most destructive force in Labour’s entire history, genetically programmed to detect the wishes of ordinary people and then do the opposite. It is substantially responsible for keeping the party out of power for the best part of the 1980s and 90s. 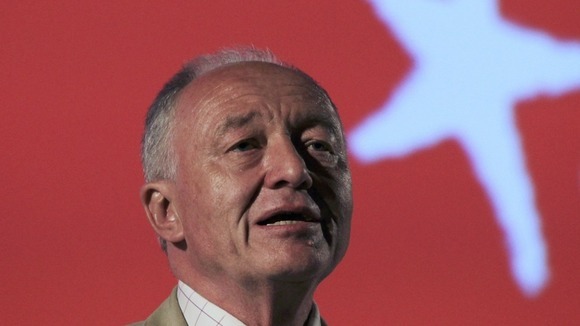 The reason Boris Johnson won Dagenham, Redbridge, Croydon and Greenwich in 2008 – and, who knows, may do so again today – was that mainstream voters thought Livingstone was interested in everybody except them. If Ken loses again this week, in a city where Labour is currently 19 per cent ahead in the polls, Labour will have no option but to face all these realities. There will be no excuses. That’s one of the reasons so many people in Labour wanted him to lose – and such people were, indeed, almost certainly the deciding factor in his likely defeat.